During the Alliance War of 2E 582, a large town was located at Cropsford. It was primarily a farming settlement, and had a shrine dedicated to Zenithar. 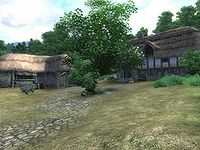 Settlement was strongly encouraged by the townsfolk, many of whom were not natives of Cyrodiil and decided to stay after passing through. The town was constantly plagued by the undead from Culotte, and the Bloody Hand Tribe of goblins. 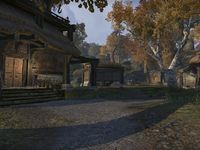 Cropsford was initially located within the territory held by the Ebonheart Pact, although the town changed hands many times over the course of the war. It was feared at the time that the encroaching goblins planned a full-scale attack. Esta página foi modificada pela última vez à(s) 19h19min de 4 de agosto de 2014.